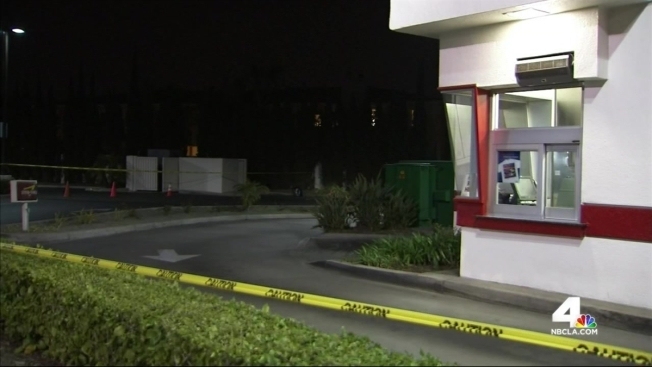 The body of a woman who had been shot and killed was found Friday morning in the parking lot of a Southern California In-N-Out Burger restaurant where she worked for two decades. Josefina Alcocer, 48, was discovered dead at the scene just before 5 a.m. in the 1400 block of Firestone Boulevard in La Mirada, investigators said. "The entire In-N-Out family grieves today over this senseless tragedy as we send our thoughts and prayers to the Alcocer family," In-N-Out Burger owner and president Lynsi Snyder said. "We are devastated and will miss her. So many things going on in the world today. We will remain strong and stand in love for Josefina. God bless and comfort all who are mourning a loved one at this time." Alcocer worked the early morning shift and did prep work to open the restaurant. An employee from a neighboring restaurant discovered her lying in the rear parking lot wearing her work uniform. Alcocer suffered a gunshot wound to her upper body and was pronounced dead at the scene, investigators said. Family and friends of Alcocer were in shock, and mourned her loss as they lit candles at a memorial near the area where she died. "I just can't get over it," Alma Uribe said. "It's kind of hard because she was like my daughter." "I can't even imagine who would do something like that to her because she was a very giving person," Uribe said. It was too early to determine the motive of the shooting, said Lt. Steve Jauch of the Los Angeles Sheriff's Department. Investigators were looking through surveillance video from In-N-Out and nearby businesses to see if the crime was caught on tape. Alcocer comes from a large family originally from central Mexico, who now reside in Buena Park. Her husband worked at an In-N-Out restaurant in Santa Ana. Juan Guapo, Alcocer's cousin, said she was an extremely hard worker and worked a second job in the afternoon. He said he had no idea why anyone would hurt her. "Josefina was good people," he said. "She loved the family." Alcocer has been working at In-N-Out since 1996 and was one of the original employees at the La Mirada location. Alcocer's friends had a message for her killer. "Their day is numbered. They'll get caught. There's tons of cameras around here. What goes around comes around, I guess," said Kiki Mansfield.